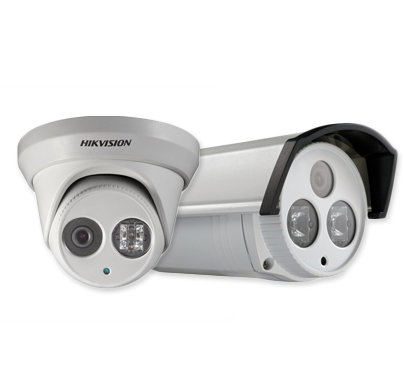 EJ Vision, CCTV installation Chelmsford, is passionate about HD, IP and Wireless CCTV and has an exciting range of products to suit every application. Our HD CCTV over co-axial cable provides broadcast level HD quality (over 2 megapixels) and offers great value for money in terms of its performance. 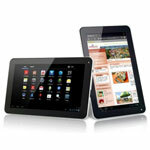 The video can transmit up to 500 metres and gives pure uncompressed real time video. This technology offers more than 6 times the resolution of standard CCTV giving total clarity and indisputable evidence. As the technology runs over video cable, existing infrastructures and investments can be utilised. This can allow for seamless and undisruptive upgrading whilst minimising labour costs. 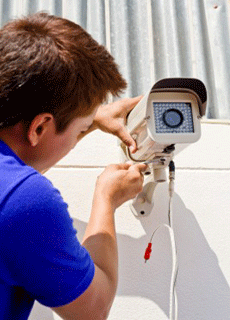 As CCTV installation Chelmsford, we have range of cameras for the most challenging conditions. The latest EXIR Infra-Red technology gives a new clarity of night vision, taking low light and no light view to the next level. Our state of the art tri-brid systems give you the opportunity to utilise your existing analogue cameras whilst adding HD cameras for key areas. Ultra high resolution IP cameras can also be incorporated into this system allowing for pinpoint accuracy when specifying the most appropriate camera. Our HD CCTV systems can be viewed on laptops, PCs, Macs along with iPhone, iPad, android and windows smart devices. Our IP CCTV solutions offer the ultimate in high resolution along with the flexibility and integration that comes with IP technology. From our minimum standard of 3 megapixels, we are able to go to 10 megapixels and beyond for industry leading detail in achieving large space coverage. With each camera and device being IP addressable, sophisticated features such as smart analytics and smart IR can greatly enhance your security system. We are proud to install Hikvision and Avigilon IP systems, currently the world’s 2 largest and pioneering IP CCTV suppliers. Our IP systems can be viewed on laptops, PCs, Macs along with iPhone, iPad, android and windows smart devices. We have the ability, as CCTV installation Chelmsford, to rapidly deploy discrete video surveillance and recording equipment into known trouble spots is increasingly being seen as a cost-effective way of countering crime. EJ Vision’s range of Re-deployable CCTV camera systems is capable of taking advantage of the increasingly wide range of transmission methods available today. By providing a variety of transmission options - including mobile 4G, HSCDS and Wireless IP, the systems can transmit pictures without the need for a fixed telephone line. The most appropriate transmission method can be chosen to suit the application - depending on mobile phone transmission coverage and geographical considerations (e.g. Line-of-Sight). The colour/mono auto-focus camera is able to provide high resolution (up to 5 megapixels) images in the lowest light levels. As well as dialling in remotely to view live and recorded images, full telemetry PTZ control of the dome camera is available from standard internet connected PCs. We know that as CCTV installation Chelmsford, crime prevention officers, local authorities, developers and housing associations are currently using our systems for a variety of applications including vandalism, graffiti, theft, fly-tipping and anti-social behaviour. Get in touch with EJ Vision for CCTV installation Chelmsford, for a free consultation to see how we can help you.